You may have noticed some of your favorite publishers working with a new content format that presents audience members with series of cards that they can flip over, by simply clicking or tapping, to reveal the content on the other side of the card. It’s called Flip Cards, and since we pre-released the format last month to a few of our premium partners, we’ve seen amazingly high engagement rates on published pages with Flip Cards embeds. By the time we released Flip Cards to anyone with a free Playbuzz account, millions of content viewers had already flipped some 83% of every card they’d been exposed to, at least once. One Flip Cards item even drew over 25,000 social media interactions within its first day of publication. Overall, pages with Flip Cards are keeping people engaged for eight times the average attention minutes for web-based content, according to Chartbeat’s findings. This is a formidable addition to our stable of interactive, embeddable formats, as it represents yet another way to create fun, focused, interactive, mobile-friendly, social-optimized content. Click here to see the complete Flip Cards challenge embedded on People.com. In the social, mobile age, we’re being bombarded with content and marketing messages thousands of times every day. Anything that catches the eye and holds our attention is going to naturally have an advantage over the majority of the noise out there. Hence the allure of visual content – the use of compelling images and data visualizations to convey ideas powerfully and compactly. Playbuzz’s Flip Cards format meets growing demand from prominent news, sports, financial, entertainment publishers to find new ways to make their visuals even stickier. Now publishers and marketers can leverage the fun of flipping cards back and forth to yield better content engagement metrics like attention minutes and shares. Even simple article pages can benefit from single-card embeds to punctuate reading blocks with small tastes of interactive fun. German newspaper Bild.de, for example, published an extremely immersive stack of Flip Cards featuring images of top celebrities today and when they were children. Click here to see the complete “before they were famous” item embedded on Bild.de. The formats that are powered by the Playbuzz platform are optimized for fun media experiences that trigger emotional responses that culminate with sharing on social media. 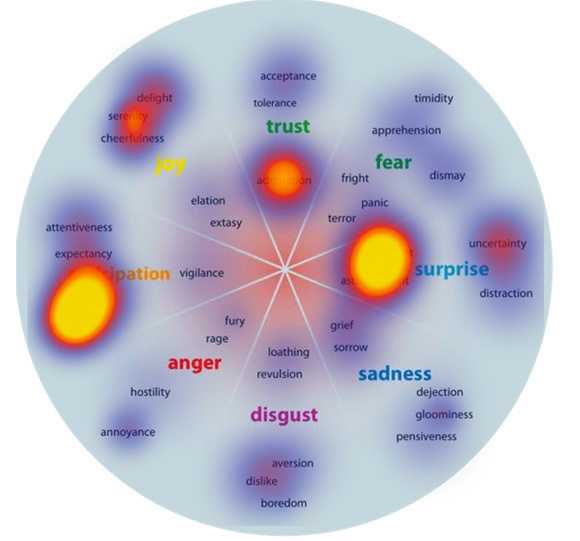 Research shows that the emotions which drive the most engagement on social media are anticipation and surprise. Leveraging the curiosity gap is what makes the personality quiz, one of our top performing formats to date, so share-worthy – personality quizzes allow people to reveal aspects of themselves. The new Flip Cards format takes the experience of anticipation, curiosity and discovery unlocked via interaction, and distills it down to its essence. One side of the card prompts us to wonder what’s on the other side, compelling us to tap and find out. Click here to see the complete Trump quote-themed Flip Card quiz embedded on Fusion. There are innumerable ways that skilled content professionals can handle the conceptual relationship between the two sides of the cards. We’ve already seen several innovative uses of it from our community of citizen creators and publishers: pros and cons, before and after, riddles and solutions, trivia without any performance pressure, and even personality quizzes with all possible outcomes available for everyone to enjoy. Click here to see the complete riddle Flip Cards embedded on Distractify.com. This item was shared my scores of users across the leading social networks, yielding over 2.3 million views. It was even shared by virality tastemaker George Takei as well as God Himself! The page holds audience attention for an average of four minutes per session, and the cards embedded here have been flipped 9.8 million times. What’s more, 84% of the people who flipped any of the cards on the page eventually went on to flip all of the cards on the page. With over 48,000 social interactions, half of which took place within one day of publication, Distractify’s more recent “What The Cast Of ‘Orange Is The New Black’ Looks Like Outside Of Prison” is also a top Flip Cards performer. Additional publishers already increasing engagement via the interactivity of Flip Cards include Major League Baseball and Italy-based movie site MYmovies. Getting started with creating Flip Cards items is free and easy – you can check it out here. The authoring interface even includes a module for creating text-based cards like the ones above in the Trump example. Want early access to our formats before we officially roll them out? Let us know by emailing us, and we’ll be happy to consider adding you to our premium publisher early access program. You can also subscribe to the free Playbuzz for Publishers newsletter to receive #PlayfulContent tips and announcement alerts straight to your inbox.